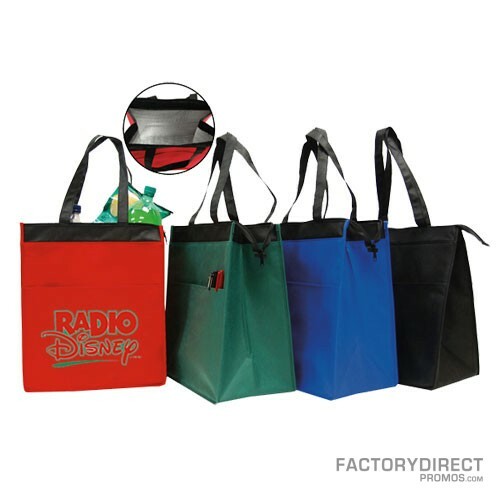 Custom reusable bags are a wonderful way to promote your brand. 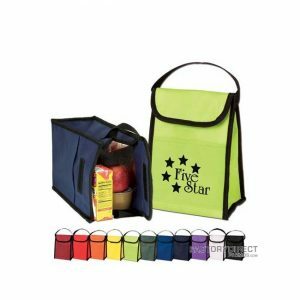 Our hot/cold cooler totes can be imprinted with your logo to showcase your brand and conveniently keep food items hot or cold while traveling. Since this bag is intended to be reusable you logo will be displayed every time the bag is used, so your branding message will live on for years to come. Take advantage of our wholesale pricing and enjoy our well-made, customizable bags for a great price. We imprint our bags in the USA so we are able to turn your order around in 2 week, but if you have a little more time look into our overseas production and you can select additional sizes, colors, and add-ons for your bags.